Are feelings ever like facts? Aren’t facts, facts? They don’t change, do they? Feelings come and go, but facts are facts. Michelle and I met with Andrew and Amber and they told us about a fight they were having. We asked them what the issue was. The couple couldn’t agree on what actually happened. Amber was angry that Eric was coming home late. She said that he didn’t let her know. Eric defended himself by whipping out his phone and showing her the texts that he had sent. This drove him nuts. He couldn’t understand what she meant. In his mind, he contacted her so she had no right to criticize. As we listened to them, it became obvious that they processed information very differently. Eric viewed the world through facts and dismissed her emotions. Amber viewed the world through her feelings and dismissed his facts. OK, the logical part of my brain says that Amber asked Eric to contact her and he obviously did. However, I could see that there was more to this. I asked Amber what she was feeling. She expressed how hurt she was that Eric didn’t seem to value time with her. I asked Eric what he just heard and he was able to hear that she was hurt. A lightbulb went on for Eric. Amber’s feelings were real. They were kind of like facts. At least to her. Feelings are real. We can try to dismiss them. We can try to ignore them. But, feelings are real. Our feelings are based on a complicated mixture of our thinking, our beliefs and our past experiences. We react to the world based upon our history. For example, if I was bitten by a dog when I was young, I may feel fear when a dog approaches me. My belief that dogs are dangerous influence my emotions, even when a dog may be friendly. I may know in my head that some dogs are friendly, but it may take a lot of work to be able to change my perspective enough not to feel fear. This is the tricky part when it comes to relationships. Amber was actually feeling hurt and she was dismissing Eric’s facts. It took Amber some time to figure out why Eric’s actions felt so hurtful to her. The rejection that she felt was a complicated mixture of her past experiences. Amber and Eric processed information differently. Eric believed that he couldn’t trust his emotions, so he dismissed them. Amber allowed her feelings to guide her to the point that she would dismiss facts. When Eric started to think about how real the feelings were to Amber, he was able to understand her perspective, even though he didn’t agree with her conclusions. When Amber started to recognize that her feelings were based on past experiences of rejection, she started to be able to express what she needed from Eric. Their conversation started to turn from an argument based on two different perspectives into what each of them needed from each other. 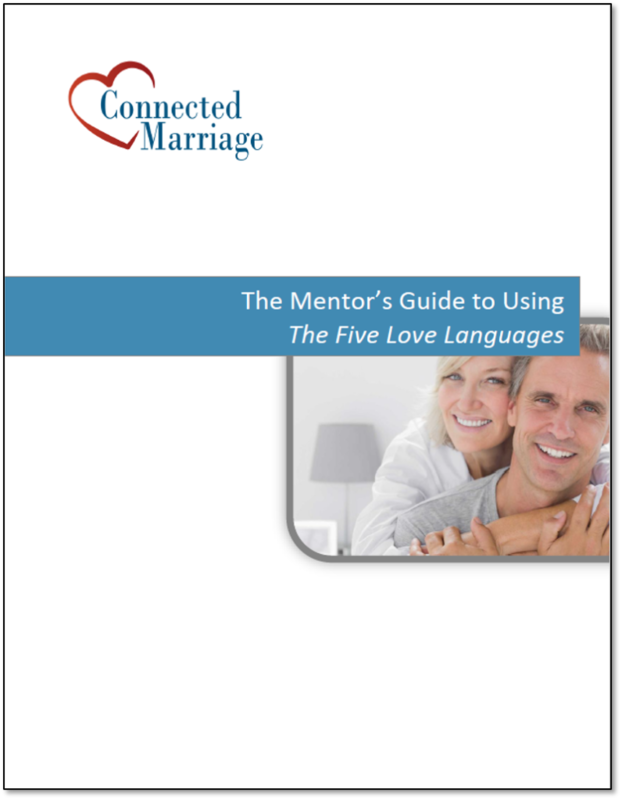 Encourage Couples to Recognize Feelings – The feelings are real. 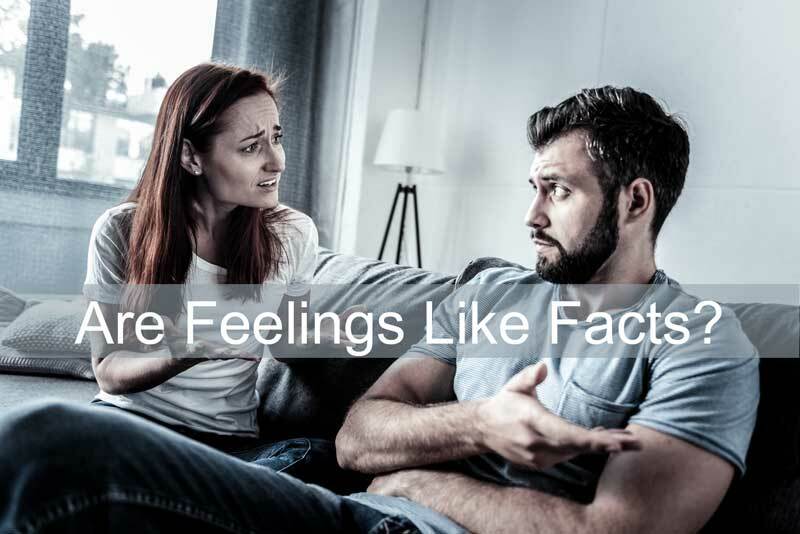 Arguing over the facts doesn’t acknowledge the feelings. Ask What Is Causing the Feelings – This can be difficult to understand. It can take a lot of thought to determine what’s causing your feelings. As a mentor, I recognize that some issues will require a trained therapist. 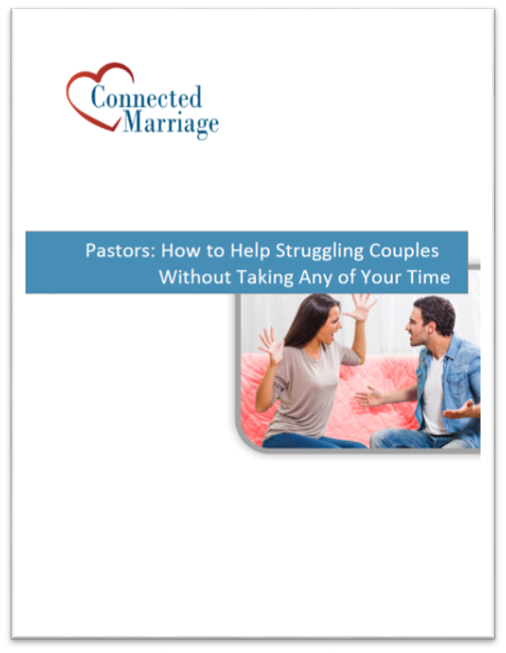 Ask What They Need From Their Spouse – What does the person need from their spouse at that moment. Amber needed Eric to understand why she was feeling rejected. Once he validated her, they were able to work on her need for his acceptance and engagement.